Computers have hit a kind of wall when it comes to performance power and it’s only been served by finding a way around it. With processors, they’ve just added additional cores to boost performance, even though the Ghz ratings have remained relatively stable. The same has held true with hard drives, which have stayed around 4TB for a few years now. This is the main reason why users have been making their way towards cloud based and network attached storage options in order to circumvent it. But Western Digital has finally managed to break that barrier and as we head into 4K and 8K video, we’re very thankful! The sizes of the new Western Digital Gold SATA hard drives are now approaching 8, 10, and even 12TB, which boasts a 7200 rpm, cache up to 256MB, and a 6GB/s burst data speed. Western Digital also has something called Enhanced RAFF™ technology, that constantly monitors the drive for linear and rotational vibrations and dampens them out for improved performance and reliability over the long haul. 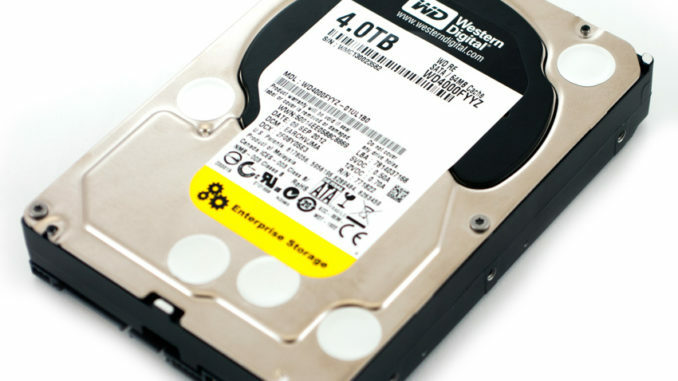 How Western Digital accomplishes this marvel of engineering is by their patented, fourth generation HelioSeal technology, that encases the hard drive inside a Helium filled shell which enables the hard drive to operate more efficiently and reliably. There’s also an IronWolf Pro line which is aimed at the network attached storage category. 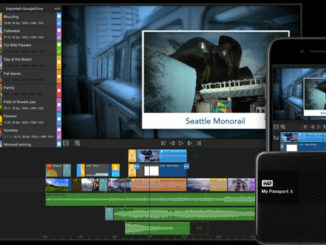 Western Digital has designed these new hard drives around the tremendous need for data storage capacity, of which post production houses are no strangers. The 12 TB HDDs can increase the total storage capacity for a single rack NAS from 2440 TB to 2880 TB, that’ll give post houses the ability to store higher capacity projects such as 8K based workflows like Guardians of the Galaxy 2 enjoyed. With the new storage capacity curve once again on the uptick, Western Digital anticipates that users will enjoy ten times more data creation capacity than is currently being used with 4TB hard drives. In addition, now that Western Digital has breached the 4TB wall, they’re already begin shipping a 14TB hard drive as well, which is aimed at entries and data center clientele, and a 16TB drive is actively in development. Those HGST Ultrastar drives incorporate a shingled magnetic recording design which can manage the needs of speed, capacity and reliability. Seagate has also breached this wall with their line of BarraCuda Pro hard drives. The main difference between the WD Gold and the HGST Ultrastar He12 are the enterprise options feature a 12 Gb/s interface and there are models with SED support and Instant Secure Erase feature. Testing also indicates that hard drive failure on this new shingled array run around 2.5 million hours, which is damned impressive. With 16TB drives in development, you can bet that it’ll only be a matter of time before that technology filters down into the consumer data market. And that’s going to translate into “smaller” hard drives being available at lower prices once again. In the meantime, you’ll be able to pick up a Gold model starting at around $530, and are available directly from WD and multiple retailers including NewEgg. 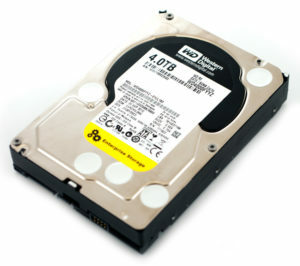 For more information, visit Western Digital here.